Sen. Tim Kaine, D-Va., is worried about the unemployment rate for veterans who served in Iraq and Afghanistan. At a recent Armed Services Personnel Subcommittee hearing, he noted former service members face major hurdles in translating their military service into meaningful civilian careers. Kaine, who has a son in the Marine Corps and has heard hardship stories from veterans while on the campaign trail, successfully pushed major sections of his proposed Troop Talent bill into this year's National Defense Authorization Act. The goal is to get service members “the credential that a civilian official understands," he said. This effort already is taking hold across the country. 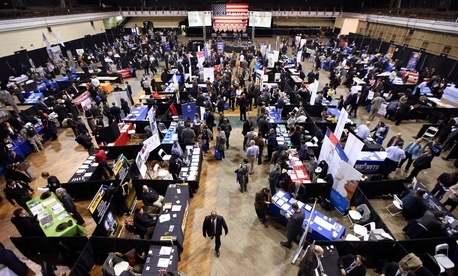 At Joint Base Lewis-McChord, Wash., for example, a partnership involving trade unions, vocational schools and community colleges offers separating soldiers and airmen the guarantee of employment when they successfully complete special courses before leaving active service. But what is going on in Puget Sound is only a small start at helping veterans—particularly the enlisted and certainly those without a military retirement—move into careers, not just jobs. The stakes couldn't be higher now. More than 1 million service members will be leaving the military in the next five years, and they are "departing into a tough job market," Kaine said. More troubling is the subset of veterans who are really being left behind. The spotlight has been aimed directly at the under-25 age group. While their unemployment numbers are high, in reality many of them are taking time off. Some are waiting to enroll in school; others are decompressing and will begin a serious job hunt a few months after separation. The spotlight should have been focused on war veterans who are between 25 and 34 years old—many of whom are married and have children. Their unemployment rate in February was 9.2 percent, compared with 7.5 percent for their peers who never spent time on active duty. Two programs appear to have the strength of commitment and the resources to make a difference for those vets. One is in the traditional building trades and construction industry, an area the armed forces is very familiar with. The other focuses on advanced manufacturing, an area in which the services have barely scratched the surface. But after more than a decade, the numbers these programs are reaching are relatively small. And one suffered across-the-board budget cuts in the 2011 Budget Control Act. Darrell Roberts, a Navy veteran who also served in the Army National Guard, directs the Helmets to Hardhats program, a partnership between the building trade unions and the construction industry. The no-cost apprenticeship program is operating at Lewis-McChord, including Veterans in Piping and Veterans in Construction Electrical. The 11-year-old program has been successful even with the ups and downs of the construction industry, according to Roberts, who is a sheet metal worker. "We keep plugging away, trying to be creative" at special expos, inviting former service members to consider the building trades for a career, he says. Veterans "are leaders on the work site and in the classroom," Roberts adds. "We want to be where the men and women are transitioning." The certification veterans receive through the program is transferable from state to state with companies all over the United States. The basic four-week core course teaches them how to read a blueprint, among other things, and helps them decide whether construction is the right career path for them. "We tell them you got to do the research," he says. "We don't charge and we offer free placement." The program is trying to regain the momentum it had in 2008 when it placed more than 1,700 veterans. Roberts he is looking to add staff after cuts several years ago. The hit came when the $3 million a year funding the program received from the Defense Department was axed by sequestration. The staff dropped from 20 to three, ironically at a time when its services were increasingly in demand. Roberts puts the return on the government's investment at $15 million annually. Now Helmets to Hardhats relies on support from the unions, industry, associations and nonprofits. Seth Bodnar is a U.S. Military Academy graduate who served in the 1st Special Forces Group and is now a GE executive. He recently moved from its global locomotive operations to global signaling. This spring day at The Garage in Washington, one of GE’s innovation labs not far from the White House, he is spreading the word not only about the company but also the Get Skills to Work coalition. The program trains veterans in advanced manufacturing techniques from 3-D printing to laser cutting and new technologies for milling. He's as passionate as Roberts about building careers for veterans. "There are 600,000 jobs in advanced manufacturing" that are going unfilled, Bodnar says. There are 10,000 veterans in GE's workforce of 130,000, and "they carry back an incredible amount of talent," he adds. Roberts also touts the leadership skills of veterans. "They are not charity cases," he says, adding that the Institute for Veterans and Military Families at Syracuse University has built a toolkit for employers and works to bust the myths about former service members. So why aren't veterans between 25 and 34 finding fulfilling careers? In too many cases, they didn't plan for life after the military. Transition GPS, a Defense Department assistance program, is encouraging service members to start thinking about what they want to do months before separation. Get Skills to Work, pioneered by GE, Lockheed Martin, Alcoa and other large companies, and managed by the Manufacturing Institute, now involves 541 large and small businesses and 55 educational institutions. Since the coalition's founding in 2012, it has reached 41,000 veterans and 700 are in training. The goal is to reach 100,000 veterans by 2015. "Many found they wanted to continue their education" after an initial six-week course, Bodnar says, adding that they’re discovering "manufacturing is cool." Separating the wheat from the chaff has been tricky in examining programs that say they help veterans build careers outside the military, especially when there are large piles of money at stake from the revised GI Bill. That money is sometimes wasted on for-profit institutions and vocational training programs that falsely claim they can place vets on a path to success. Forests have been felled to produce oversight reports from the House and Senate Veterans Affairs Committee alone on such scams and fraud. Still, efforts to get veterans on the path to success are critical. "The Department of Defense recently conducted a pilot program on military credentialing and found that the cost of a service member completing their credentials was nominal, about $280 a person,” Kaine said in an email. “By comparison, DoD spends $9.663 billion on unemployment insurance each year." Coalitions like Helmets to Hardhats and Get Skills to Work need to grow with new public-private partnerships at the state and local levels to make a difference. In ticking off his concerns about the future for veterans, Kaine said, "we want to make sure they get traction" in the civilian workforce. John Grady, former director of communications for the Association of the United States Army, is now retired and writes about defense and national security.